For more than twenty years, I have been trawling Brick Lane Market for interesting old things and while the market has changed beyond all recognition, and though you may have to look harder now, there are still bargains to be discovered if you have sharp eyes. 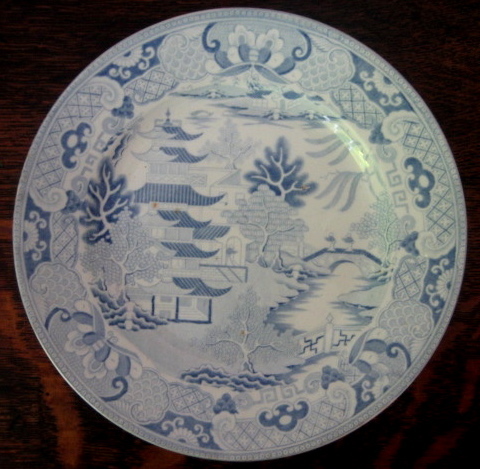 Last Sunday, I bought this lovely pair of nineteenth century plates in a delicate blue and white transfer willow pattern for just £4. They were hidden amongst a pile of twentieth century reproductions and were priced accordingly. I swear my toast tastes better eaten off these.